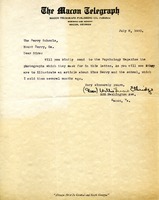 Ethridge asks that photographs to accompany an article she sold to Psychology Magazine be sent. 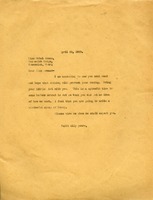 Ethridge's letter will be brought to Martha Berry's attention when she returns from abroad. Ethridge is erroneously addressed as "Mr. Etheridge." 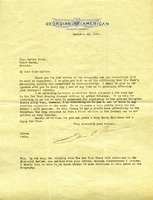 Berry writes that it will be impossible to take Armes's daughter Catherine as a special student. The school charter specifies that students be from rural and mountain districts and financially unable to attend other schools. Furthermore, it would be of no benefit to Catherine to be among students who "speak incorrectly and who have yet to learn the simplest things." 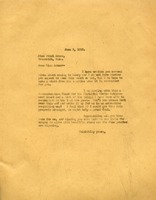 Nevin thanks Martha Berry for the biography and corrections she returned to him. 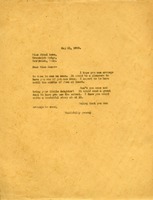 He makes note of the difficulties caused by the over-publicity of Mr. Fords's gift. 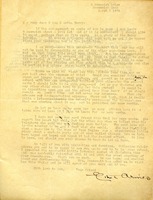 He encloses an article published in The New York Evening Journal, stating that The Georgia will "dress it up a little more effectively." Nevin refers to Berry as "Miss Mattie." 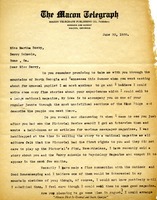 Berry hopes Armes will come for a visit and asks her to write a recommendation for the Pictorial Review Achievement Award. Berry hopes Armes will visit and write a story about the school. Berry is expecting Armes and her daughter to visit next week. Berry is anxious for Armes to visit. 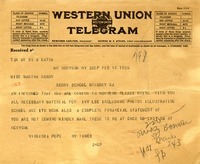 Berry has been ill, but has recovered enough to return to the school. She expects to travel throughout the month of May, so hopes that Armes can come in April. She reports that there are several cases of mumps at the Girls' School. 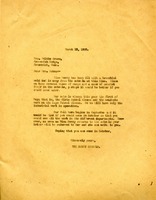 Armes writes with concern about Berry's health and recent illness at the school. She wishes to visit in May and is particularly interested in the school's industrial work. 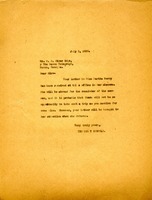 Armes is asked to reschedule her visit because of Martha Berry's illness and illness at the schools. 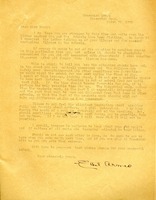 Although addressed to "Edithe" Armes, this letter may be intended for journalist Ethel Armes. 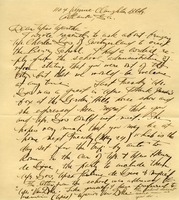 Van Dyke writes about a proposed meeting of Berry and Charles Gos of Switzerland. 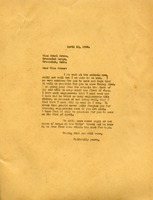 Van Dyke had written earlier to try to arrange the meeting, with encouragement from Louise Reese Inman. She also chastises the school for referring to her as "Mrs." when "like yourself I have preferred to remain Miss." Shaw, editor of the American Review of Reviews, contributes on behalf of himself, his wife, and their two sons, who he hopes one day will have incomes sufficient to enable them to contribute directly. 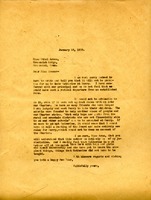 Berry is asked to bring materials for Ivy Lee with her to New York.